Nigerian Navy Recruitment Form / Exercise Requirements, Qualifications, Application Guidelines, Aptitude Test Schedule for 2019/2020 Session. 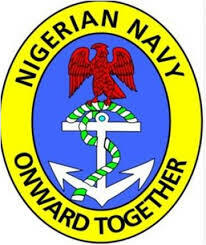 The Nigerian Navy has announced the commencement date and registration guidelines for the Recruitment Exercise and Enlistment for 2019/2020 session. LATEST UPDATE: Nigerian Navy Recruitment Aptitude Test Date, Requirements 2019/2020. SSCE or equivalent with 5 credits including English Language and Christian Religious Knowledge. Two years experience as clergy/church worker as well as letter of recommendation from 2 Clerics/churches recognized by the NN is required. SSCE or equivalent with 5 credits including Arabic, Islamic Religious Knowledge and English Language. Two years experience as Imam/Mosque attendant as well as letter of recommendation from 2 Islamic clerics/organizations recognized by the NN is required. 3. Applicants must not be married or have children before joining the NN. 14. The date for the Recruitment Aptitude Test will be posted on the NN portal. CLICK HERE TO APPLY ONLINE!!! RECOMMENDED: 2019 Nigerian Navy Recruitment Shortlisted Candidates for Aptitude Test.